Stuart presents solo and hears from Gary Numan who shares his First, Last and Everything. 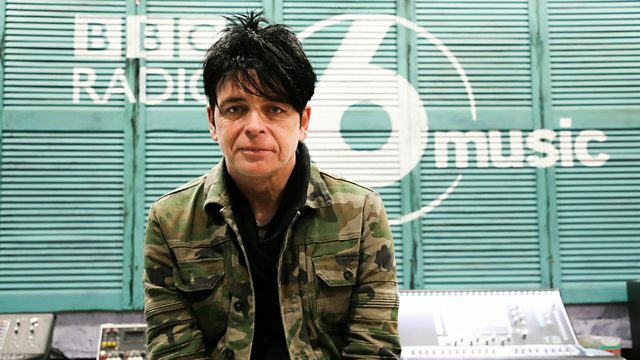 Today, Gary Numan shares his 'First, Last and Everything' - that’s the first record he bought, the most recent one he's enjoyed and the record that means everything to him. You can take part in The Chain, choosing a track for our world-famous list of interconnected songs, as it approaches number 8000! And Stuart launches brand new feature: RadMac's Sunday Glove Songs. Plus a finely balanced blend of new and old music, setting you up for a Sunday. Eli and the Thirteenth Confession. The Universe Smiles Upon You.